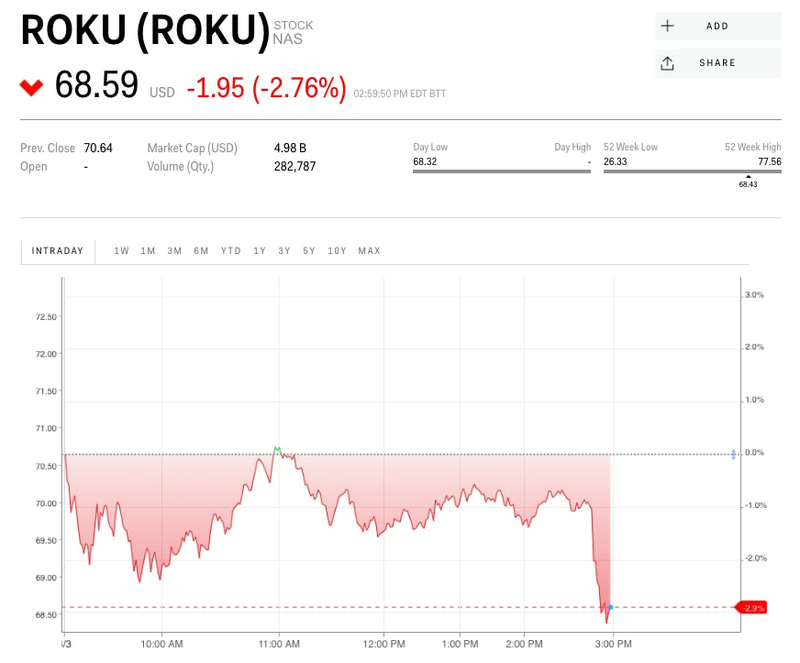 Roku shares dropped Wednesday afternoon following a report that said Amazon was looking to expand its streaming offerings. Amazon has “talked to executives at media companies and advertising agencies about its plans to include more ad-supported streaming channels to compete with Roku and Pluto TV,” Cheddar reported. In what’s become a familiar stock-market reaction to Amazon’s plans to extend itself into an industry, shares of Roku fell as much as 3.2% Wednesday after it was reported that the e-commerce giant is looking to expand its streaming offerings. Amazon is planning a “vast” expansion of its free streaming service on Amazon Fire TV devices, asking marketers to pledge millions of dollars to support the new offerings Cheddar reported, citing multiple people who held discussions with Amazon. Amazon declined to comment to Cheddar. “Amazon has talked to executives at media companies and advertising agencies about its plans to include more ad-supported streaming channels to compete with Roku and Pluto TV, which offer free access to TV shows and movies with commercials,” Cheddar’s Michelle Castillo reported. 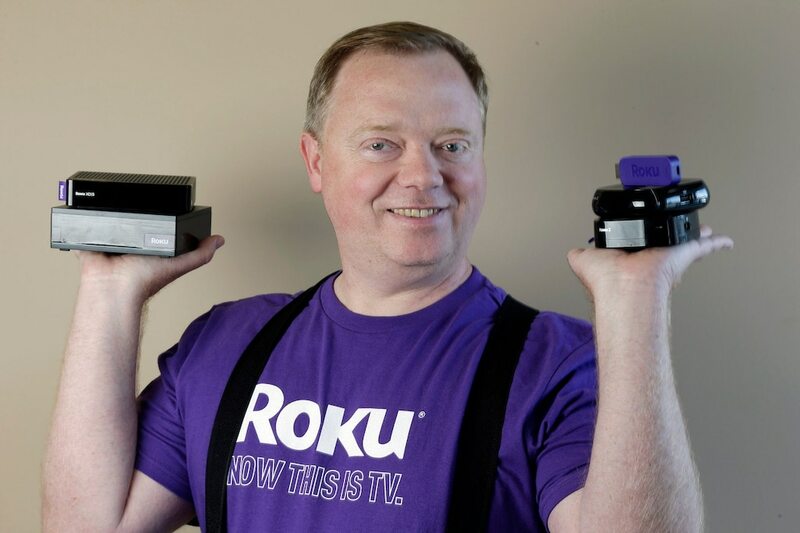 Roku is the latest in a string of companies that have seen their share prices dip, if only briefly, following news that Amazon is expanding, or looking into expanding, into a given industry. In March, shares of the grocery stores Kroger and Costco fell after The Wall Street Journal reported Amazon was planning to open its own grocery stores in the US at a lower price point than Whole Foods — the chain it bought two years ago. And last year, pharmacy stocks like Walgreens Boots Alliance, CVS, and Rite Aid took a tumble after Amazon bought the startup PillPack. Wednesday’s slide did little to dent Roku’s recent rally. Shares were still up 126% this year, trading at $68.40 apiece.